Big congratulations go to author Nicholas Briejer, whose memoir The Sweet Dell: The True Story of One Family’s Fight to Save Jews in Nazi-Occupied Holland, published by Pilgrim Spirit Communications, has been named a finalist for the 2016 Pacific Northwest Writers Association’s Nancy Pearl Book Awards. The first-place winners will be announced on July 30 at the Awards Celebration during the PNWA annual conference in Seattle. So delighted for you, Nick! 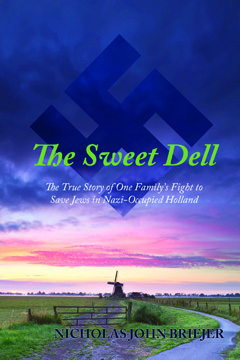 In The Sweet Dell, Nick tells not only the story of his maternal grandparents, who were part of the Dutch Resistance during World War II, but also his own quest to uncover this piece of his family’s history. If you haven’t yet read Nick’s powerful narrative, you can find it here.